I have been trying for some time to find that perfect balance between black and white to paint the interior of my home. About ten years ago I took a picture from a magazine to my local paint store to try to match a deep shade of charcoal for my dining room. This was before “grey” became the new “taupe”. There didn’t seem to be too many options to choose from in the paint decks and thankfully one of the women at the paint store did a great job of matching the colour to the magazine photograph. I have been happy with the colour, however, the walls were getting quite banged up from the chairs, a vacuum wielded by a very ambitious cleaning lady, and just general wear and tear. It was time to repaint. Now for the dilemma…what shade to choose? “Fifty Shades of Grey” brings many images to mind! I will, however, stick strictly to paint colours. 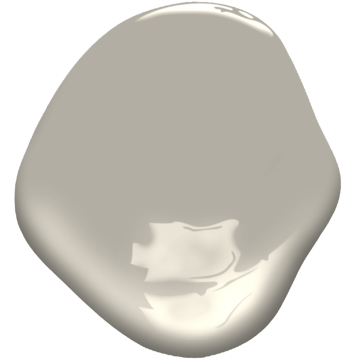 Why is it so difficult to find that perfect shade when every paint company seems to have so MANY variations of grey in their current paint decks? When I was painting my foyer and living room I wanted to find that blue/green/grey colour that is so popular in France—the colour of many areas at Versailles. I can’t tell you how many litres of paint I went through to find that exact colour I was looking for. Although these rooms are a version of that colour, I have not been totally happy with the result. Now I was ready to paint the dining room but still so unsure of what colour to use. I have two painted buffets in that room using Annie Sloan chalk paint in a distressed Paris Gray. The dining room table is painted in Annie Sloan Old White and trimmed in Paris Gray. The wall colour had to compliment these pieces. 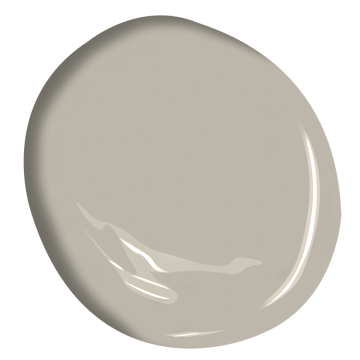 I was looking for a colour that was elegant, warm, with a lot of depth and most importantly not bluish or greenish. A tall order I know. To say that I had paint chips everywhere would be an understatement. After considerable deliberation, I narrowed it down to two options… CSP-100 Cosmopolitan and CSP-105 Smoke and Mirrors. In the end, I decided to try Cosmopolitan and if it wasn’t dark enough I could paint Smoke and Mirrors overtop to compensate. I used Benjamin Moore Aura flat paint which has the depth and an almost ‘chalky’ finish that I’m really happy with…and Cosmopolitan worked perfectly. Now I’m looking around the rest of the house and wondering, “What will be the next shade of grey?”. I like grey. Grey is ambiguous…somewhere in-between. It suits my sensibilities as I have never seen things or situations simply as black or white! Next Post We’re Not Quite Done With the Grey! Very clever, everything is coming together very nicely. Your page looks like a very professionally made site. I really like the way you write. Looking forward to your next post.